Go organic and use wood candle holders to make your candles stand out. Even from centuries ago, candles have already been used by people. They have been making their way from China, to Europe and on to the rest of the parts of the world. Before, the first types of candles were made out of wax and natural fat; in the later years, oil was then used. Mainly candles were used to light up rooms in the past however with the discovery of electricity; candles are now seen as decorative pieces for the household. 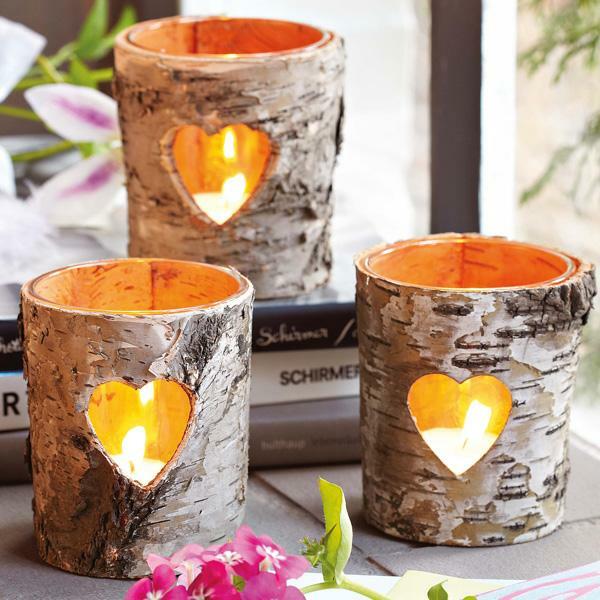 They are great when it comes to setting the mood for the lighting and you can even make your very own personalized candles and candle holders. The great thing about making your own candle holders is that you are free to design them in any way, look and size that would suit you the best. The hardest part in buying candle holders is that you can’t seem to always find what you are looking for. 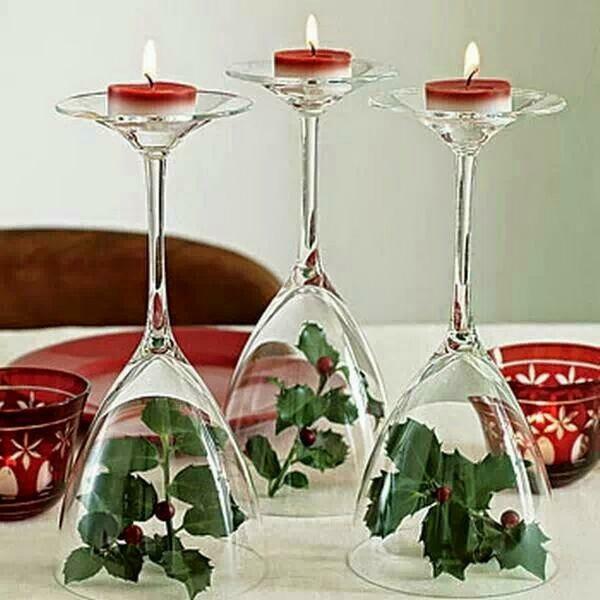 So if you want that perfect candle holder creating one yourself is the best option. 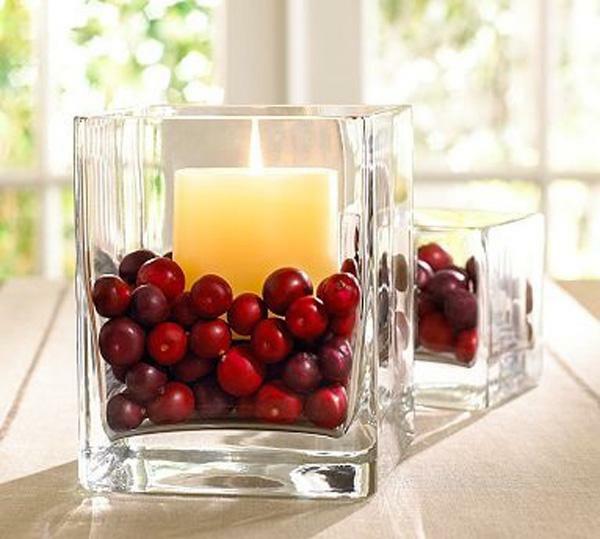 These jar candle holders are great for centerpieces and the like. You can use floating candles and at the same time let them have this rustic look that would simply look amazing on your coffee table. These are not only perfect for homes but can also be used as designs in occasions such as weddings. Start off with making the jars look attractive by painting it with chalkboard paint. One way to do that would be to use tape. 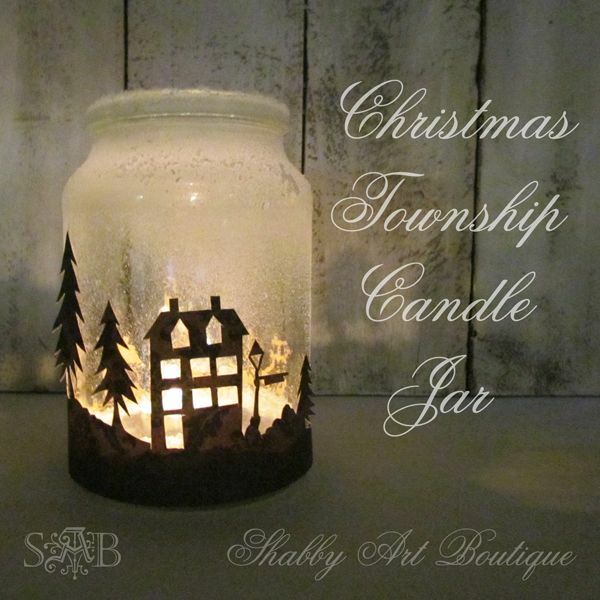 Carve a design on the tape for example a heart and put it on the jars. After which you can start painting the rest of the jar with your desired color. Once finished peel off the tape to reveal the cut out shape you have made. Simple, easy yet the effects are great. You can also do the same with floating candles. Simply place the jar upside down and cut out a piece of tape with the shape of your choice and repeat the entire process. You can easily attach the candles to the lid of the jar to prevent them from falling off. Other options include recycled fabric, recycled jars and even newspaper arranged in an artistic collage will fit in well with the candle holder design. To make the fabric or newspaper stay in place, use lace, measured correctly to hold them. Glue the ends of the lace to the jar and wrap it round twice to secure it. Not only that but you can also make lanterns out of Mason jar candle holders. All you need to do would be to make a hole in the center of the lid so that the wick can go through it. Be careful not cut the hole too big or else the wick will not fit. 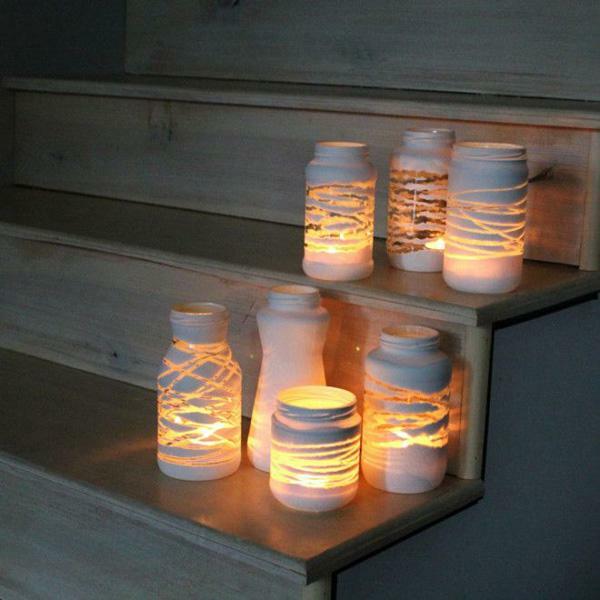 These Mason jar lanterns can be a perfect piece for your terraces. This is another candle holder technique that you can also do yourself. This style lets you create candle holders with a warm and unique touch as well as making it in various consistencies. However you may think that using wood as a candle holder might not be a good idea since wood doesn’t do well when placed close to fire. Then again wood does look elegant and beautiful when you only use it as a decoration piece or a place where you store the candles. Basically you are simply crafting from a block of wood that has five small holes for the candles to fit in. Even though you are using a block of wood, the design is very compact and you will be surprised how easy it is to find a spot where you can place the decor. There are plenty of ways where you can slice up the wood into the size you see fit for the candles. You can use a big square block with five small holes for five thin candles. You can also design a wooden candle holder by using a small wooden box and carving three thick holes for three candles to be placed in it. If you want to be safe with the candles you can try and place the candles in small glasses that will fit the holes which you have carved on the box. Don’t restrict yourself in creating small wooden box candle holders since you can also make smaller versions that fit single birthday cake candles. These are small, cute and you can virtually place them anywhere at home. You can also opt to paint the boxes or just simply go with the original color of wood. There are actually more ways where you can create DIY candle holders. The key is your imagination. Begin with looking around your home for things that are not useful anymore. From there you can start with the idea that recycling items to be made into candle holders would be a great idea in clearing up the mess and adding your very own décor plus not spending too much in buying from stores! 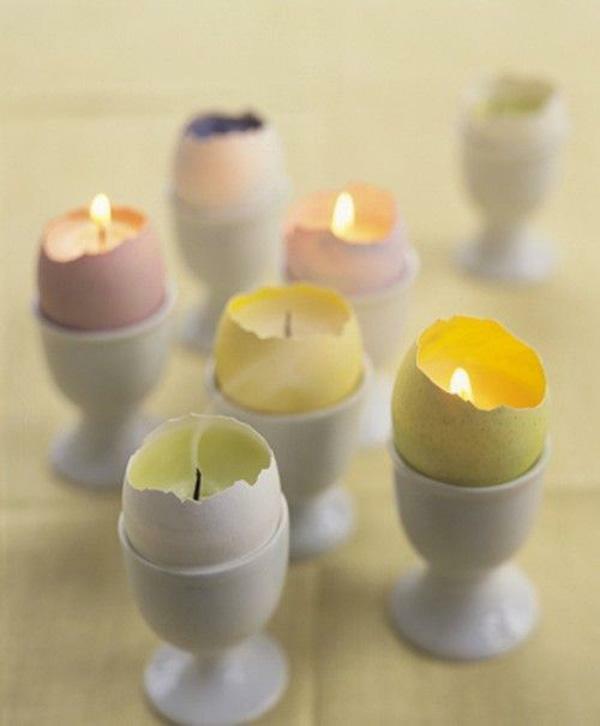 Celebrate Easter with these beautiful ester egg candles and candle holders that you can easily recreate yourself. 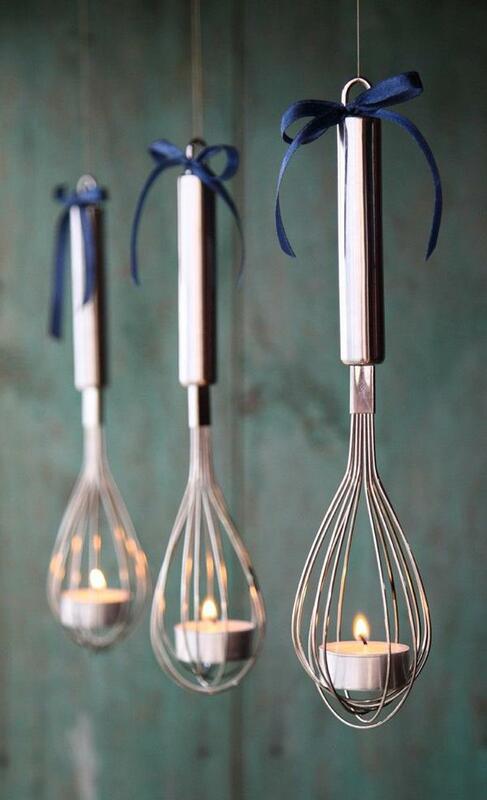 Whisk lantern candle holders made out of simple things you can find around the house. 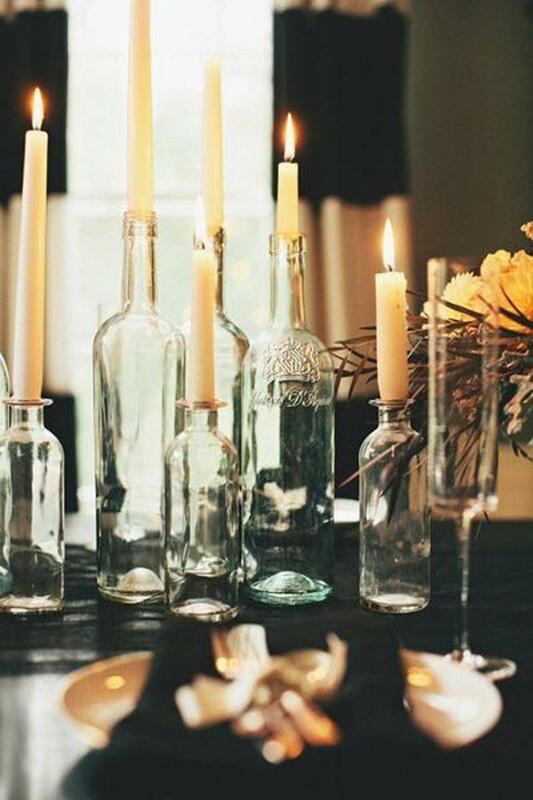 Give your home that classic old school look with bottle candle holders. 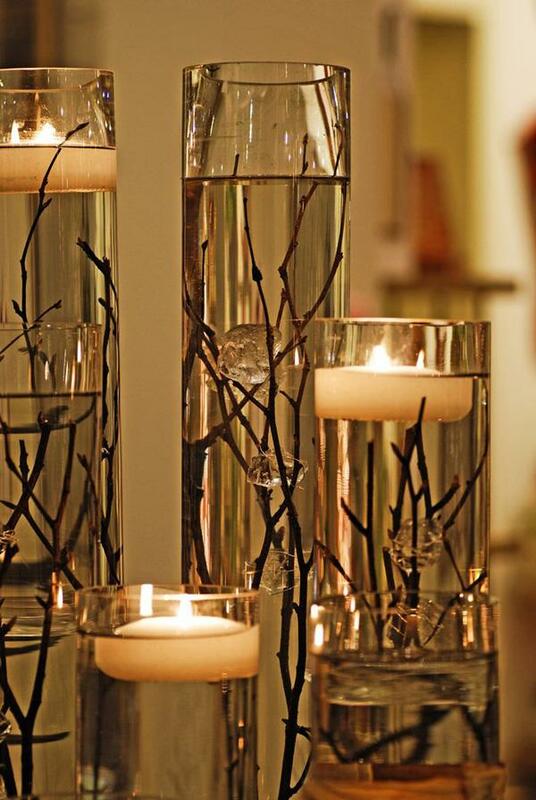 Add more drama to your floating candles and bottle with a touch of twigs and branches. 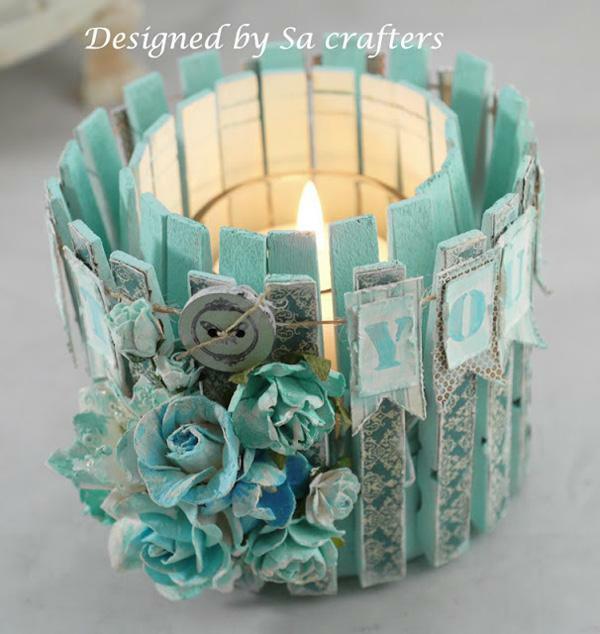 Recycling is the key, design your old tin cans and decorate them to become amazing looking candle holders. 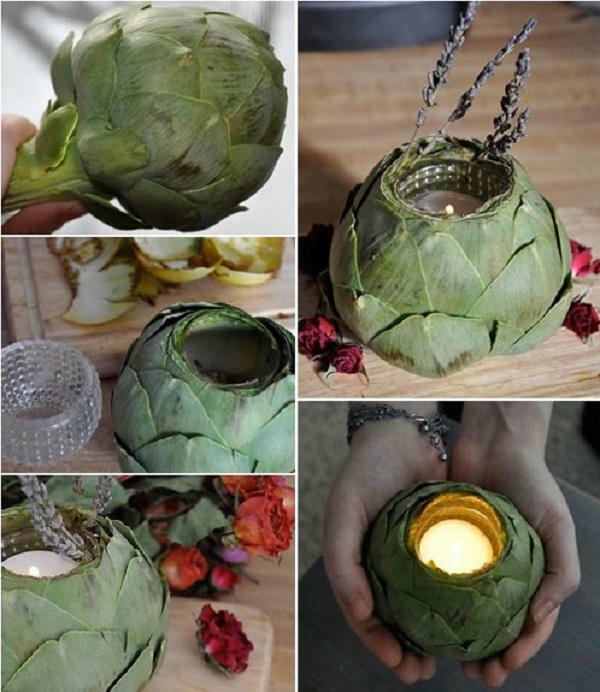 When you think artichokes didn’t have any more uses, they can serve as wonderful and original looking candle holders. Give style to your bottle candle holders by painting over them and leaving out artistic marks such s details or abstract lines. Add a dramatic flair to your regular bottle candles by providing small details and designs, for example, around the bottle necks. Bottle candles can’t be more creative by using berries or even other types of smaller fruits to give more life and color inside the bottles or glasses. Who says pieces of cut orange can’t be creative looking candle holders because they absolutely can. Candles, wine and Christmas mistletoes, the perfect way to celebrate your Christmas dinner with family and friends. 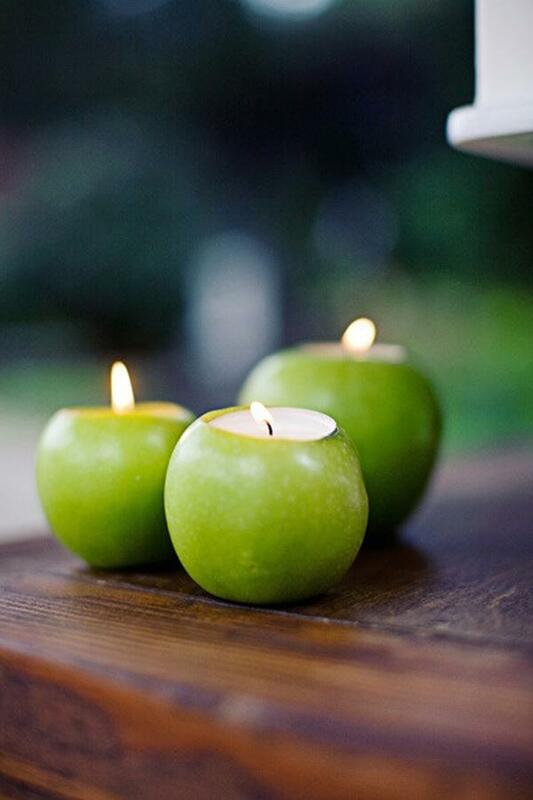 Apples have more use than you think and now they can also serve as candle holders. 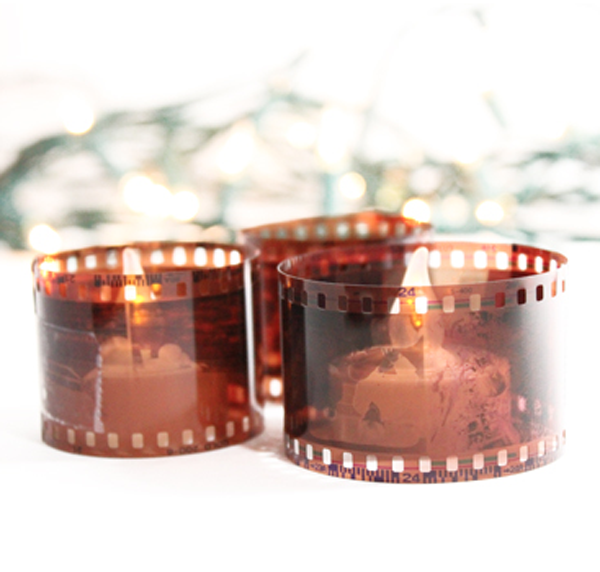 Used film strips don’t deserve to simply be discarded; you can make use of them and create authentic candle holders with them. 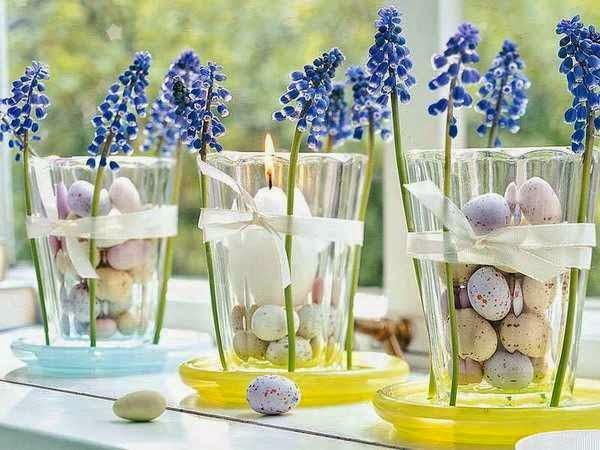 Egg shells have never looked this cute; with help of egg glasses, you can recreate your very own egg shell candle holder collection. 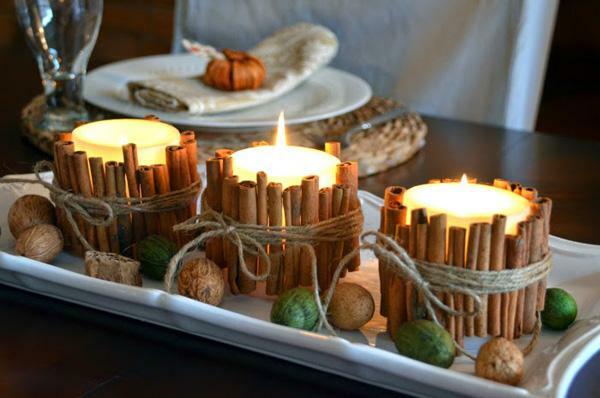 If you want to go the extra edge why not try cinnamon sticks as your next DY candle holder project. 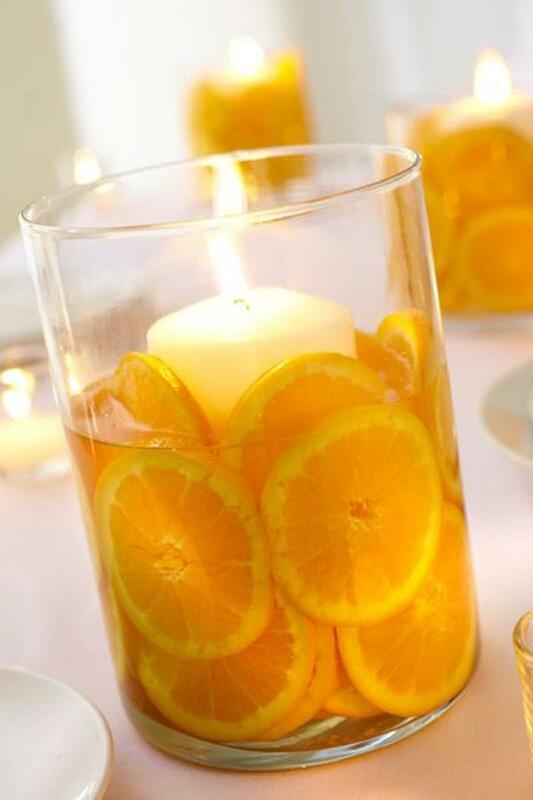 Here are more orange inspired candle holders; make your candles look and smell fruity. 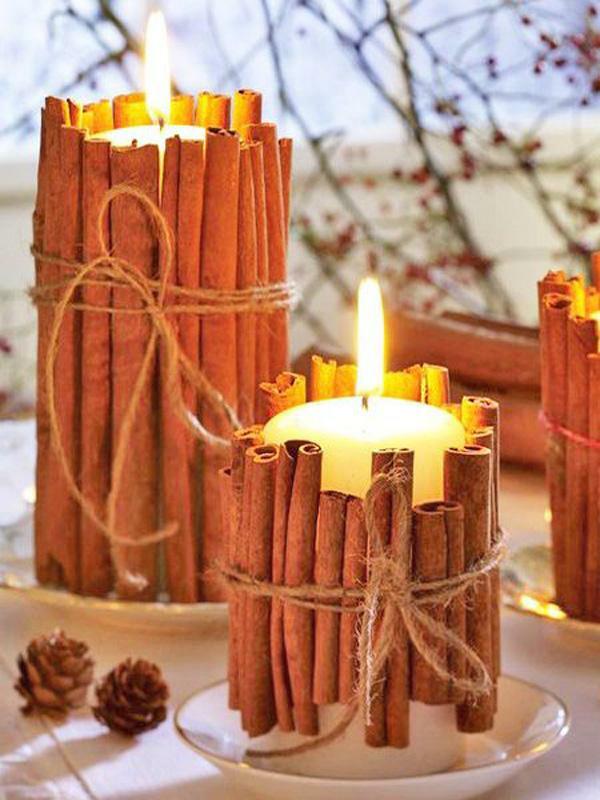 Cinnamon sticks aren’t only fragrant but they can also be great looking candle holders giving an authentic vibe to the design. 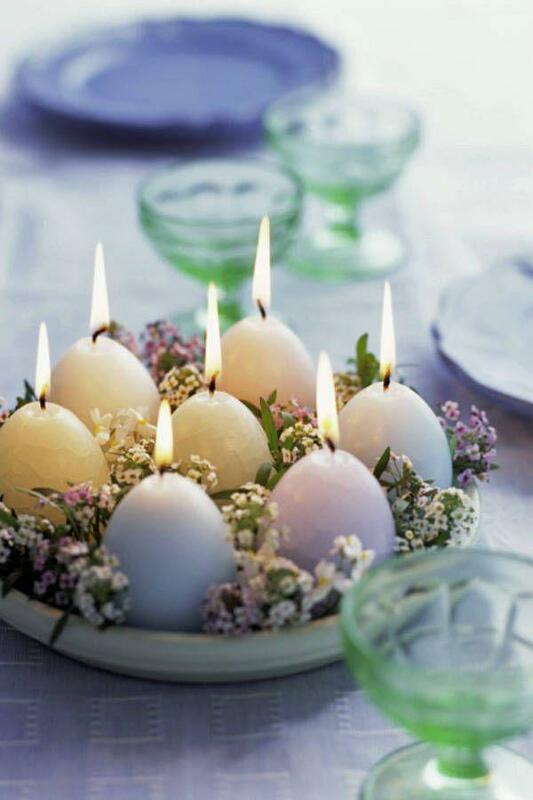 More wonderful looking egg shell inspired candles with more intricate details added such as flowers. 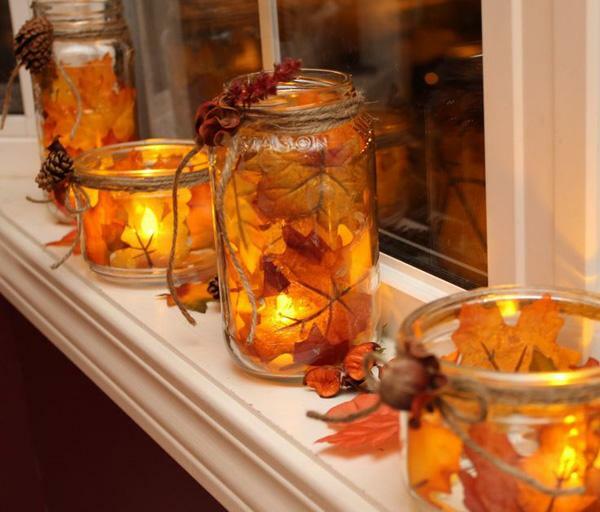 Here is an example of what fall Mason jar candle holders would look like; beautiful aren’t they? 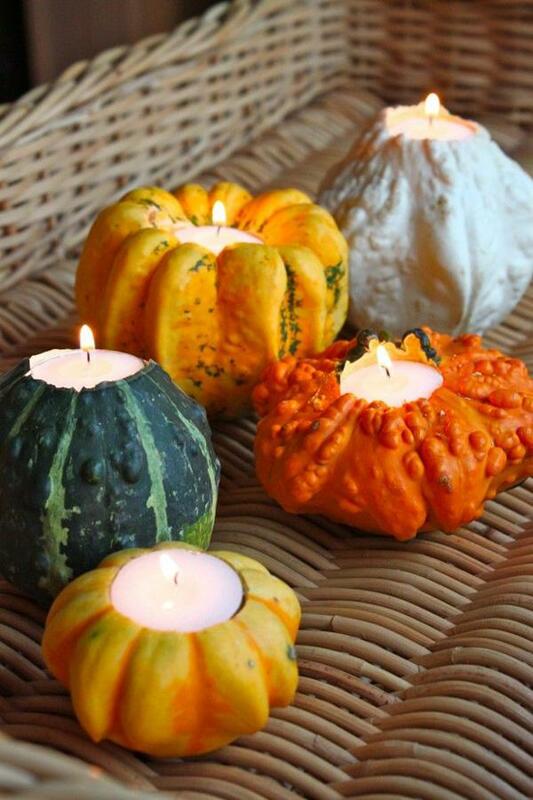 Gourds have never looked this cool; give your candles a twist with using gourd s your latest theme for candle holders. 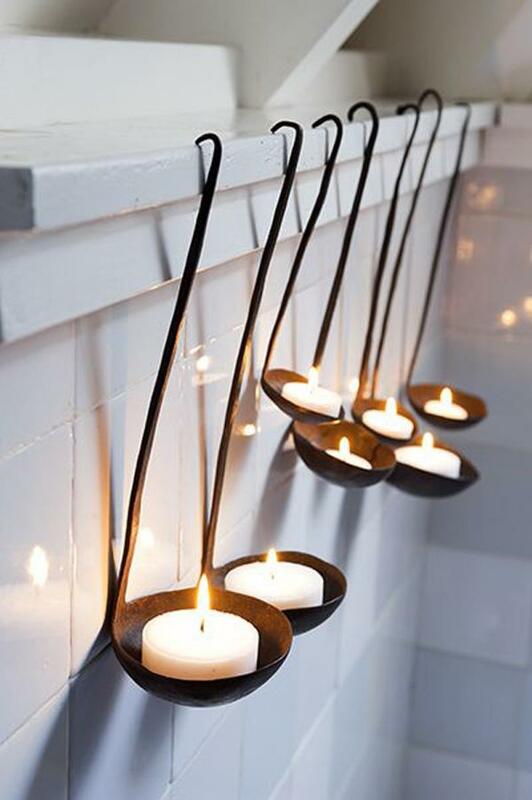 When you have ladles that you could not use anymore, what better way to make use of them than converting them into humble candle holders. 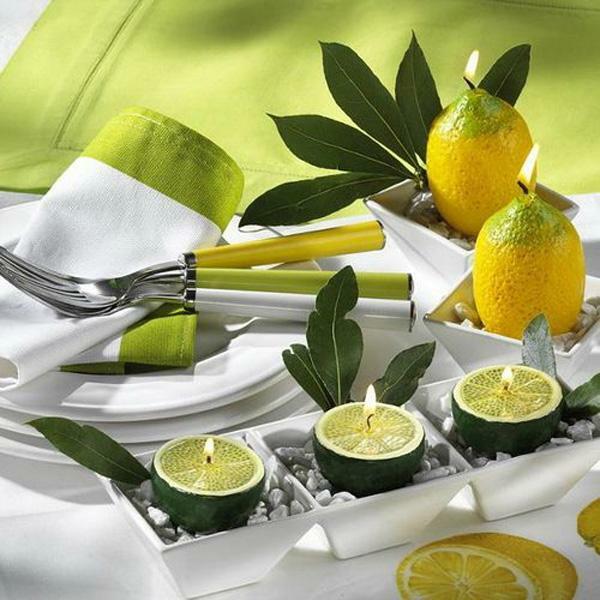 Be edgy with these lemon candle holders which can make just about any centerpiece of yours stand out. 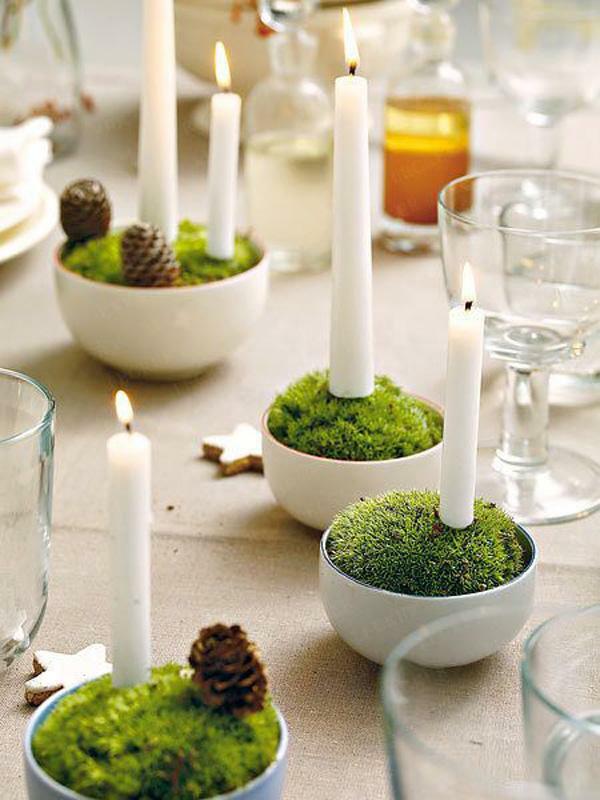 Cup candle holders are boring without moss; give your candlesticks a wonderful looking theme and small details to make them look any less boring. 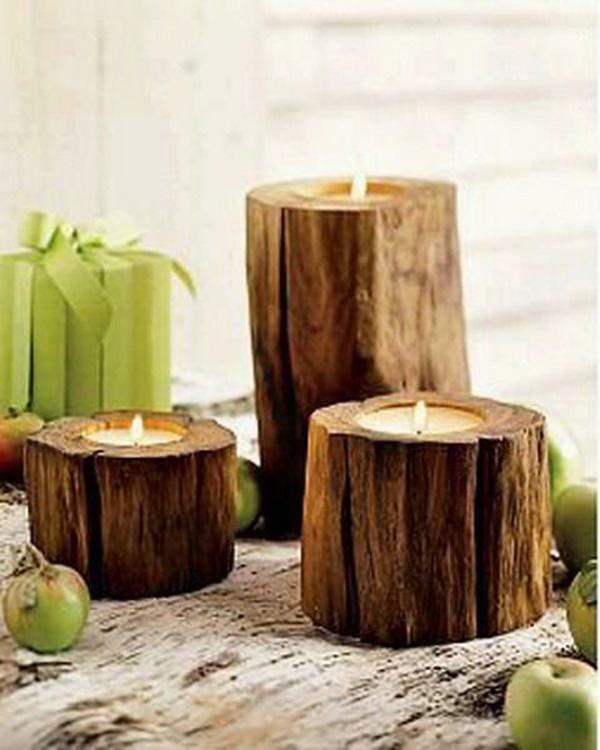 If you are bothered by that tree stump outside, make the best of it and turn it into a unique looking candle holder for your candles. 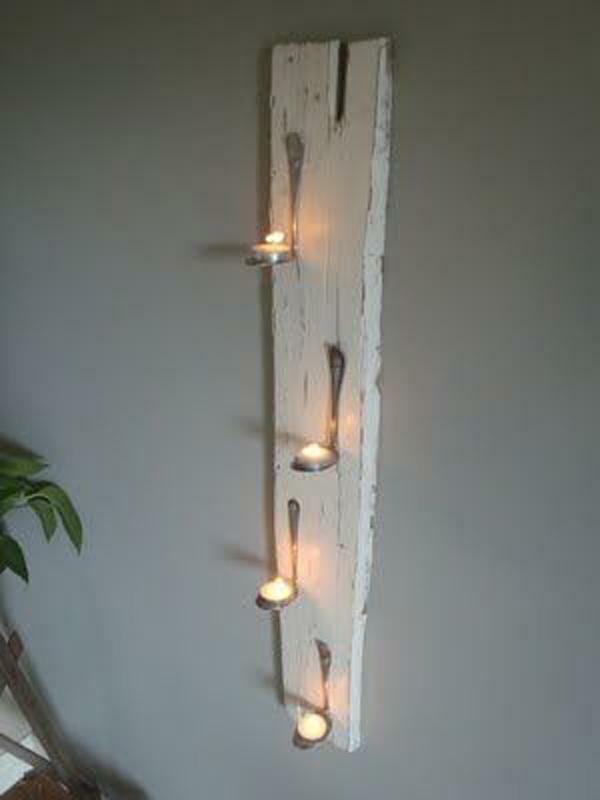 Try making those old spoons look great again by using them as a quaint candle holder for your wall. Rather than making your bottled candle holders look plain, you can add sand and even sea shells inside to make it look a bit more adventurous. 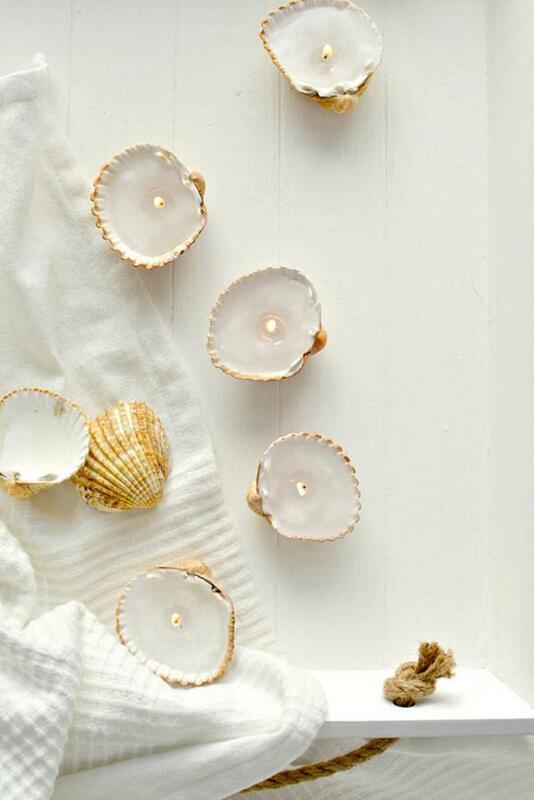 Adorable shell candle holders that you can easily recreate. 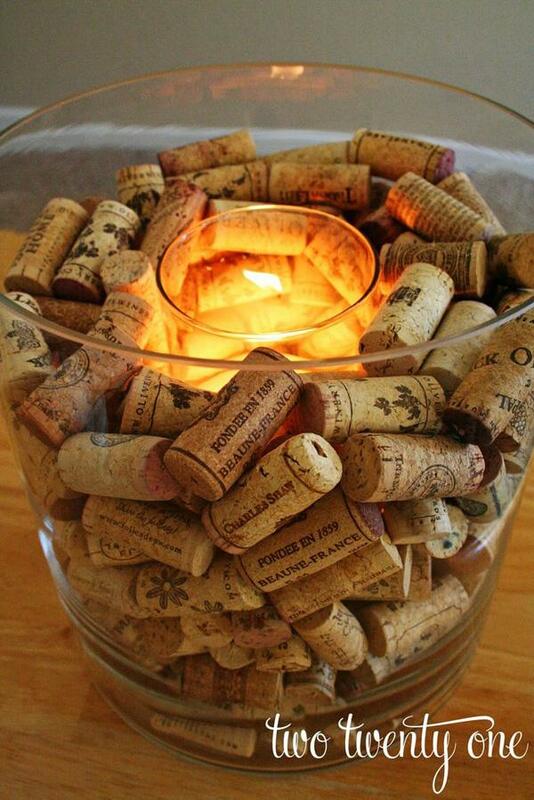 If you are a wine lover you might have tons of corks lying around, the best way to dispose them is to make them candle holder designs and accents. When it comes to jar candle holders, it is up to your imagination on which details you’re going to use to attract more attention to that candle and jar. 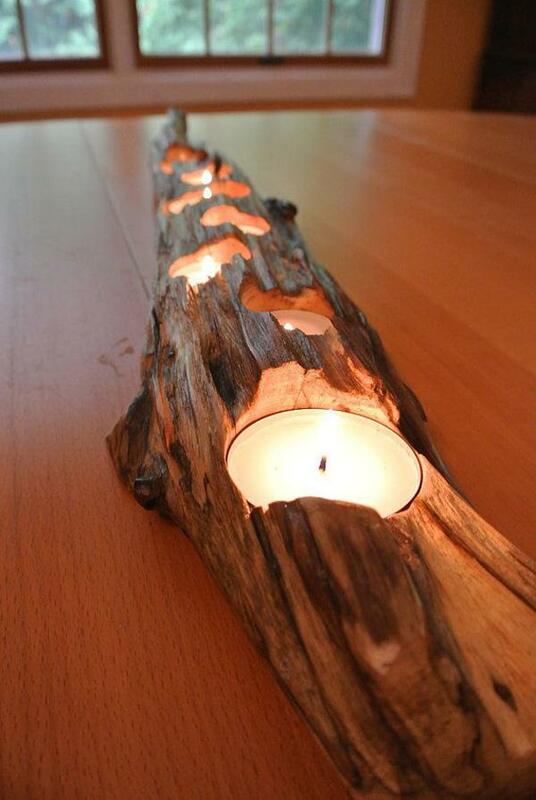 Illuminate your home through the wonders of nature with this wood inspired candle holder. Wood candle holders are perfect for that clean and simple look you want; you can also easily customize them and their designs. 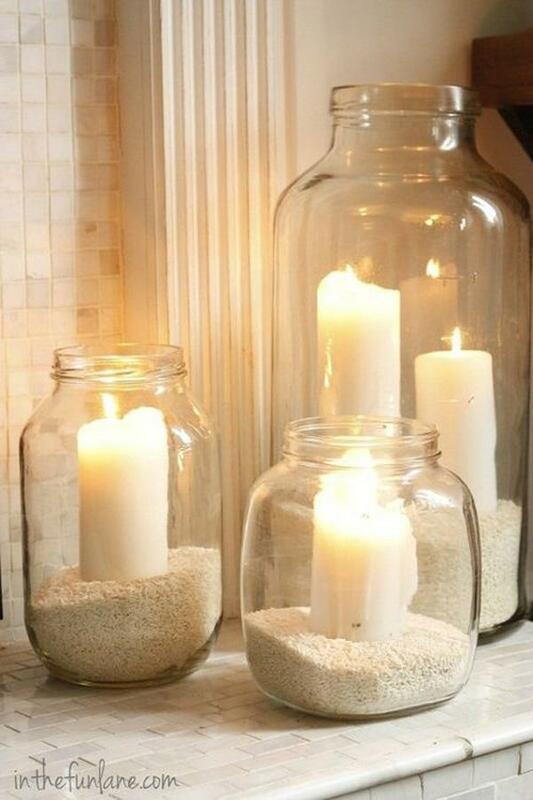 I’ve seen a lot of DIY mason jar and glass tube candle holders. However I haven’t seen whisk ones! I absolutely love that idea. These are great examples of unique candles and candle holders. Thank you so much for the post and including such great pictures.